A virtual shared storage is typically restricted and locked in terms of vendors, licenses and hardware, making you pay more than you should. Even having paid their unreasonable price you still wouldn’t have any flexibility of configurations and architecture. 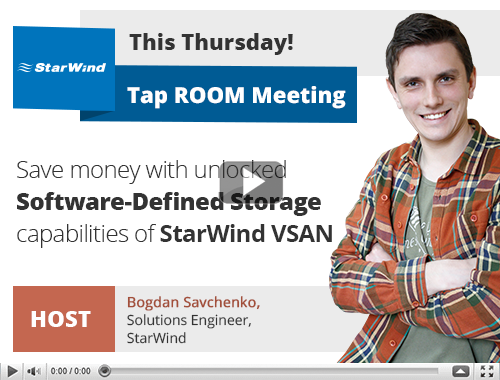 Join our tap room meeting about StarWind Virtual SAN, where we’ll share some tips on making your virtual shared storage work for you, not vice versa. Also, we’re going to tell you about RAIDs and their use cases.